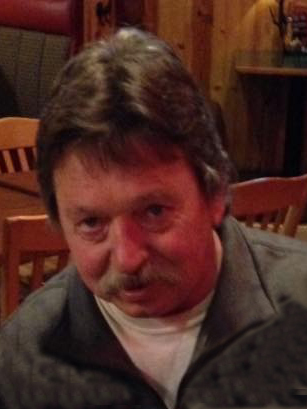 Robert "Ron" L. Schneiderhan, Jr., age 65, of Alexandria, died unexpectedly Friday, November 23, 2018, surrounded by his family at St. Cloud Hospital. A celebration of life service will be held 3 p.m., Sunday, December 16, 2018 at Lind Family Funeral Home in Alexandria. Gathering of friends and family will begin at 1 p.m. until the 3 p.m., service. Private family inurnment will take place at Kinkead Cemetery in Alexandria. Robert Lyall Schneiderhan, Jr., was born on March 31, 1953, to Robert and Kay (Rutten) Schneiderhan, Sr., in Alexandria. He grew up on a farm in Belle River, attended Carlos Elementary and graduated from Jefferson High School in 1971. Upon graduation Ron enlisted in the U.S. Marines and was stationed in Okinawa, Japan. He was honorably discharged in 1975 and returned home to attend Minnesota State Detroit Lakes for welding. Before settling down he traveled across the country on his motorcycle and worked in various states for ten years. Ron once again returned home to Alexandria and was blessed with three children. He began working for Kinkead Cemetery in 1997, where he was employed until his passing. Ron enjoyed hunting, trapping, fishing, snowmobiling, and traveling. He was preceded in death by his father, Robert; brothers, Jack and Scott; step-father, Dale Hobbs; and grandson, Lucas. Ron is survived by his soulmate, Kerry Beilke; mother, Kay Hobbs of Alexandria; daughter, Nikita (Chris) Nash of Miltona; sons, Robby Schneiderhan, of Alexandria and Justin Wagner of Osakis; sisters, Sue Wegschneider, Jill (Mark Hemquist) Rasmusson, Jan (Patrick) Lindquist all of Parkers Prairie, and Melissa (Andy) Taylor of Woodlands, Texas; step-brothers, Chris (Patty) Hobbs of Parkers Prairie and Dan Hobbs of Shakopee; grandchildren, Michael, Haiden, and Liza; and many aunts, uncles, nieces and nephews.